I've tried my hand at low-carb pancakes more times than I care to remember, but I think I've finally nailed the recipe. These look, taste, and feel like real pancakes but are only 3 net carbs roughly for one large pancake to two smaller ones. 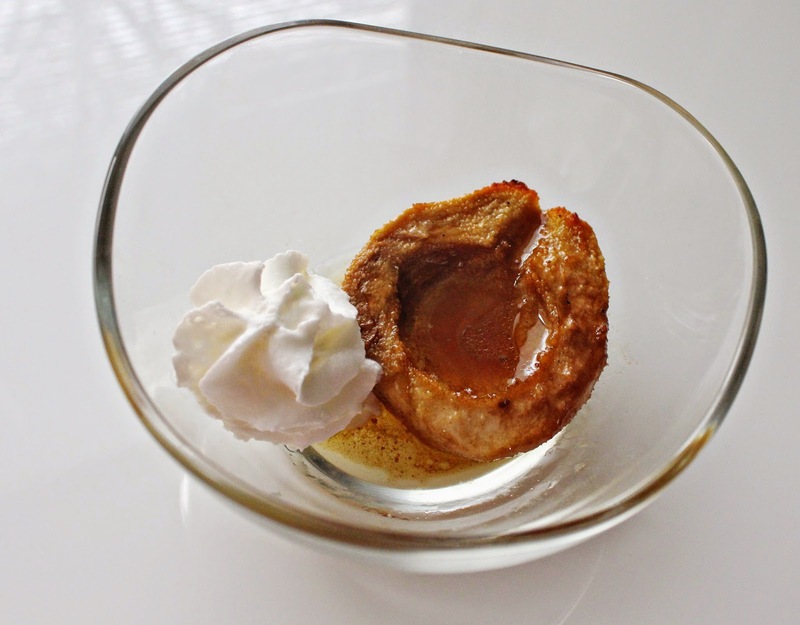 I also made a low-carb maple syrup that really just raises the bar. I find that this syrup has a more "syrupy" consistency than some of the low-carb alternatives out there, and much cheaper too! First add the eggs to a mixing bowl and whisk. Next melt the butter and add to the eggs along with the heavy cream. Then add the baking powder, almond flour and protein powder. The mixture should be very thick. Lastly add the boiling water and mix well. If the mixture seems a bit thick, thin it out with a little more water. Spoon the pancake mix over a griddle on medium heat. Cook until bubbles appear on the uncooked side of the pancake and flip. 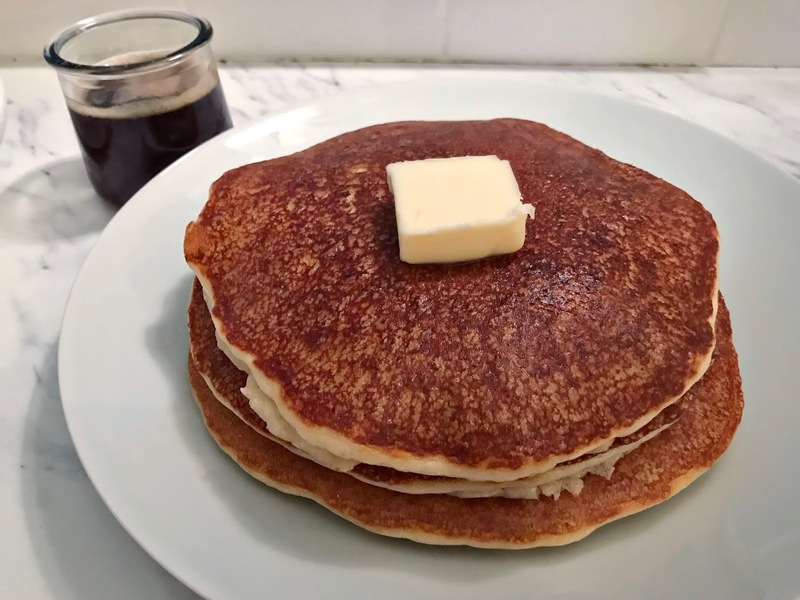 Stack and serve with a pat of butter on top and the low- carb syrup of your choice. First, slice the eggplant and season with salt. Beat the egg in a shallow bowl. Add the oil to a frying pan and turn up to medium heat. In a ziplock bag, add the Italian seasoning, whey protein powder, almond flour and salt. Dip the eggplant slices in the egg and dredge in the flour mixture. Add the eggplant into the hot oil and cook until golden brown on both sides, about 3 minutes. Place the eggplant on a parchment lined baking sheet and add one tbsp. 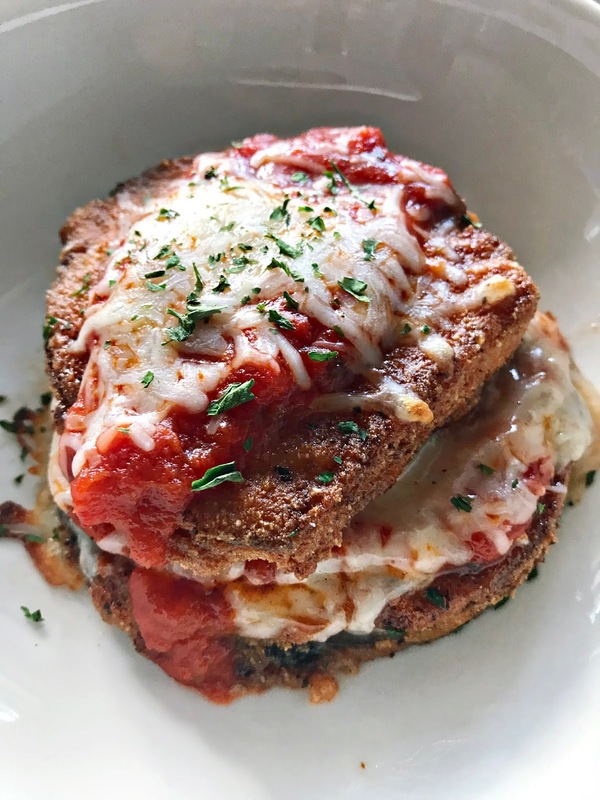 of the marinara sauce on each slice of eggplant and top each slice with the shredded cheese. Bake until the cheese begins to bubble and get nice and gooey. Start by cutting the chicken breast into bite size pieces and pre-heating your oven to 400 degrees. Season the chicken with salt, pepper, 1 tsp. of oregano and garlic powder. Once seasoned, toss the chicken in a large ziplock bag. In a separate bowl, whisk the eggs and add them to the chicken, making sure to mix enough to coat the pieces. Grab a second ziplock bag and add the almond flour, Parmesan cheese, oregano, parsley, salt and pepper and mix well. Next line a baking sheet with parchment paper and coat the top with melted butter. Begin transferring the chicken into the breading mixture and shake off any excess before placing the nuggets on your lined baking sheet. Bake for about 30 mins making sure to flip each piece over half way through cooking. Sometimes you just don't know what to make for dinner and really don't have a lot of time to search for recipes when you have a hungry toddler. This is the case with this meal. I basically raided my fridge and threw together some items I had on hand. 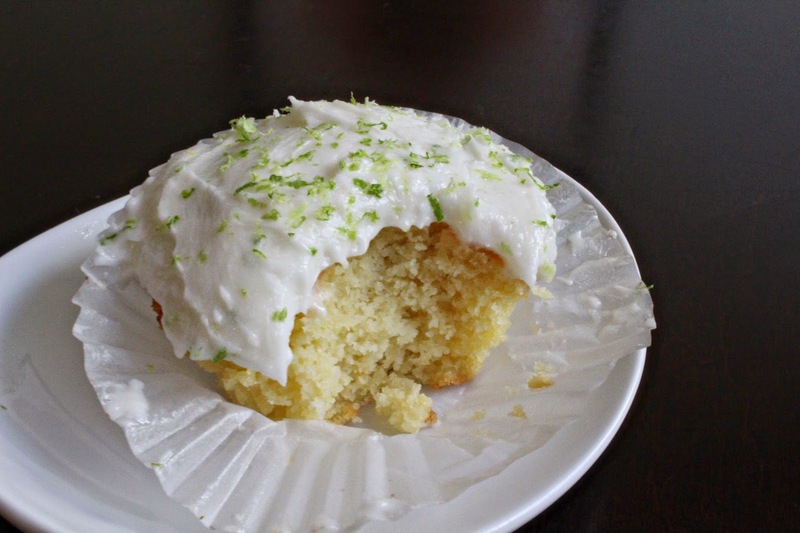 Surprisingly, this recipe came together very quickly and was extremely easy to make. My daughter gobbled it up and I couldn't be happier because it was loaded with veggies. It re-heats well for breakfast and is the perfect compliment to a couple of fried eggs! First pre-heat your oven to 450 °. Line a cookie sheet with parchment paper and spray with with a little cooking spray, or brush with coconut/olive oil. Add the sweet potatoes and sprinkle them with salt. Roast until they are tender, tossing them halfway through the cooking process- about 30 minutes. While the sweet potatoes roast, add the coconut or olive oil to a skillet and turn up heat to medium high. Season the bison with salt, pepper and maple syrup and add to the skillet once it is hot. Brown the bison and transfer to a plate when done. While you are browning the meat, dice the onion, and grate the garlic and transfer to the skillet once you remove the bison. Sautee until tender and add the spinach to to the pan. Stir around, making sure to allow all of the liquid from the spinach to evaporate. Add the ground bison back to the pan and combine with the veggies. Add the sweet potatoes,salt, pepper, rosemary and dried sage and combine well. Cook for 5 minutes to allow all of the flavors to blend in. 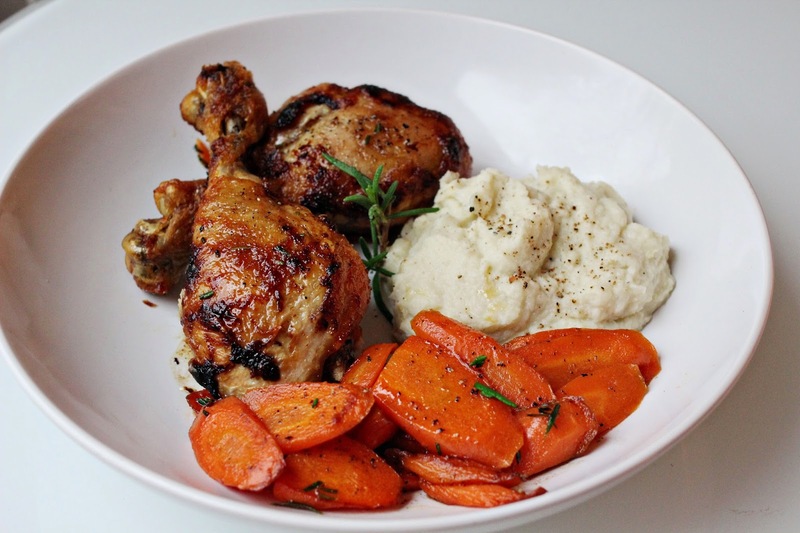 This meal is perfect for those cold winter nights and a great way to make a budget friendly meal appear rich and satisfying. First line a baking sheet with parchment paper. Next arrange the chicken legs on the baking sheet. Melt the butter brush evenly over each leg. Next season the chicken with onion powder, salt and pepper and roast in a 375° oven for 50 minutes. At the half-way point, take the chicken out of the oven, turn each of the legs and season the other side with the onion powder, salt and pepper. 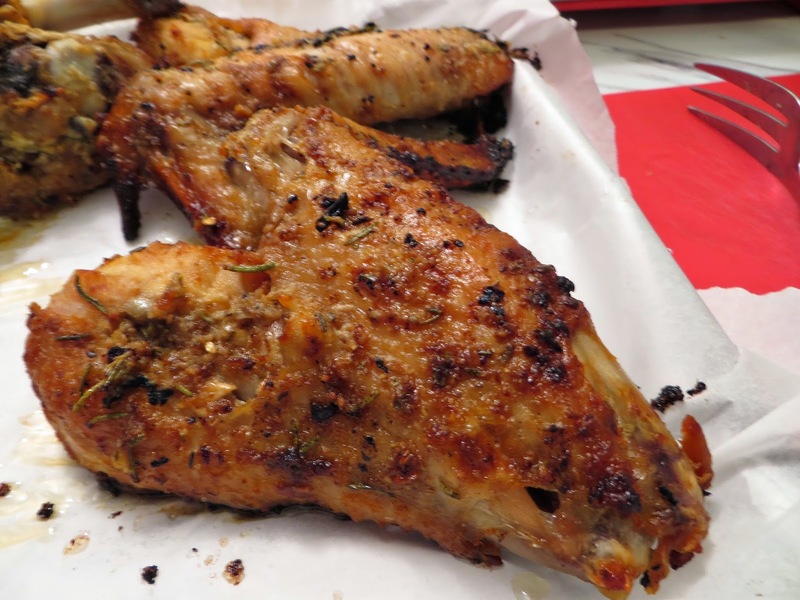 Once you have about 5 minutes left of cooking time, squeeze the lemon juice over the chicken and return to the oven. Steam the cauliflower for until tender but not to where it breaks apart- about 14 minutes. Drain the cauliflower well and blend in a food processor until perfectly smooth. Using a very fine mesh sieve, begin straining out some of the excess liquid from the puree and set aside. Once you've removed all of the excess liquid, remove the strained cauliflower to the food processor and add the butter, salt and pepper and blend for a minimum of 2 minutes. Peel the carrots and slice them on the bias. Steam them lightly and drain. Add the butter and garlic to a pan set to medium heat. Once the butter melts add the carrots and saute. Add the rosemary and season with salt and pepper. Cook until the carrots are tender. Every once in a while you come up with a recipe that seems almost too easy for how delicious the turnout is. This is one of those dishes. It has only a handful of ingredients but any more and I think the dish wouldn't be as successful. There is beauty in simplicity and these pears are indeed beautiful. 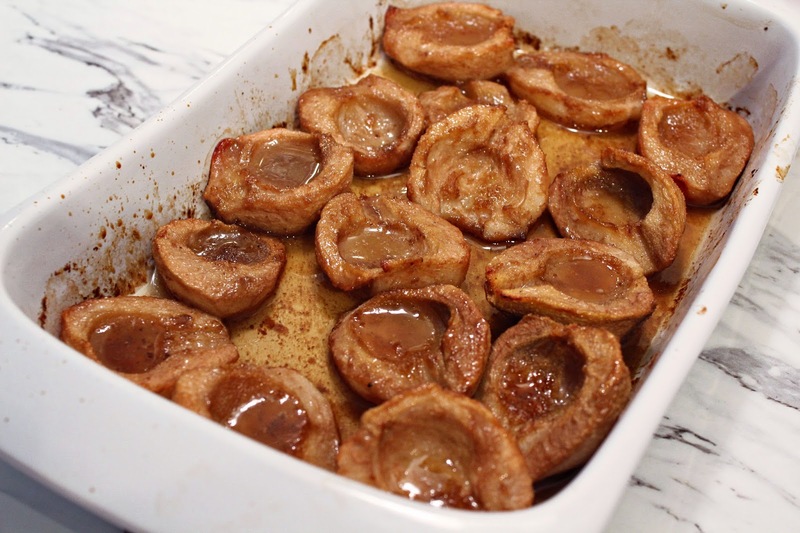 Place the pears in a baking dish. In a small sauce pan, melt the butter and add the maple syrup, water and vanilla extract. Whisk lightly and pour the liquid over the pears. Sprinkle the salt evenly over the pears and roast in a 350° oven for 45 mins. Serve warm. I mentioned in my last post that I've been on a DIY kick lately. 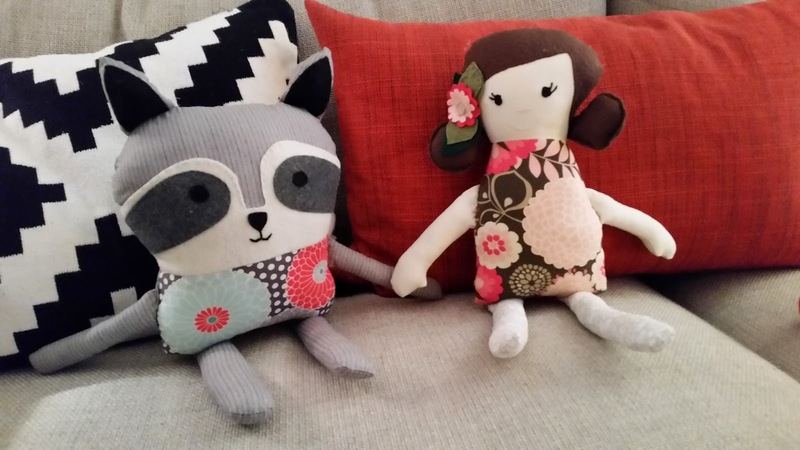 I've been wanting to learn how to sew for some time but never had the time or ready to or I was a little intimidated. Now that I have a little baby girl, this was all the motivation I need to give it a shot. My mom was in town the last few days and she knows how to sew. We went to the fabric store, picked out some patterns and fabric and got to sewing. This is our finished product. I just had to share since the dolls surpassed my expectations. In case you're interested, I used simplicity patterns number 1342 and 1549. I have been on a DIY kick lately. That is sort of the standing joke around the house, I want to DIY everything! I thought i'd start with some of my less ambitious projects like making laundry detergent. I had looked up several tutorials online and I thought it would be simple to do. I am really pleased with the final result for several reasons: it is much more cost effective and you know exactly what is going into your soap. First, grate the bar of soap using the cheese grater. Add the grated soap to your pot with two quarts of water. Let it simmer but do not let it boil, stirring frequently until the soap has completely dissolved. If you are opting to use essential oils, now would be the time to add them. Add 4 gallons of very hot water to your 5 gallon bucket and add the borax and washing soda and blend until dissolved. Next add the soap and water mixture from your pot. At this point, I blended it everything well. Let the mixture set for 8 hours or overnight. You'll notice some separating and there might be clumps of congealed soap. I used the immersion blender to mix all of the ingredients well. Pour into your containers. I use about one cup of detergent per load. 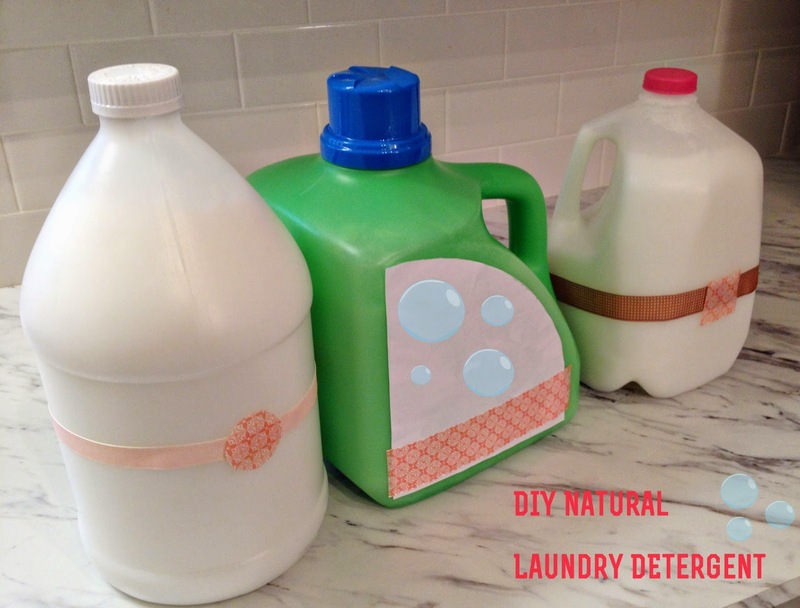 One of the containers I used was the empty bottle of detergent I had just finished using. I use the cap to measure the detergent and it has worked just fine. This recipe is also HE washer safe. You will notice that over time the ingredients do separate a bit. Just make sure to leave enough space in the container so that you can shake it vigorously before using- that will re-incorporate the ingredients. Also, this recipe yields a very low-lathering formula, but don't worry, this detergent cleans exceptionally well. I used it on my cloth diapers yesterday and they came out smelling really fresh, I think in part because the formula washes out without leaving a lot of residue. You'll notice this when you rinse all of the equipment and your sink- it washes right out. This was my first attempt at making detergent and I must say that I am really pleased, it was pretty straight forward to make and worth the effort in my opinion. This year we had intended to go out of town for the Thanksgiving holiday, but thanks to two back-to-back colds we were feeling under the weather and decided to stay in. Since it was just the three of us this year, I decided to make the simplest of meals. Surprisingly, the consensus we came to was that it was the best Thanksgiving meal I've ever made. I didn't over-do the sides and I kept the ingredient list quite minimal. In addition, I decided to break down the turkey before roasting and this cut down the cooking time considerably. It also allowed all of the pieces to have a nice golden brown skin without being over-cooked. 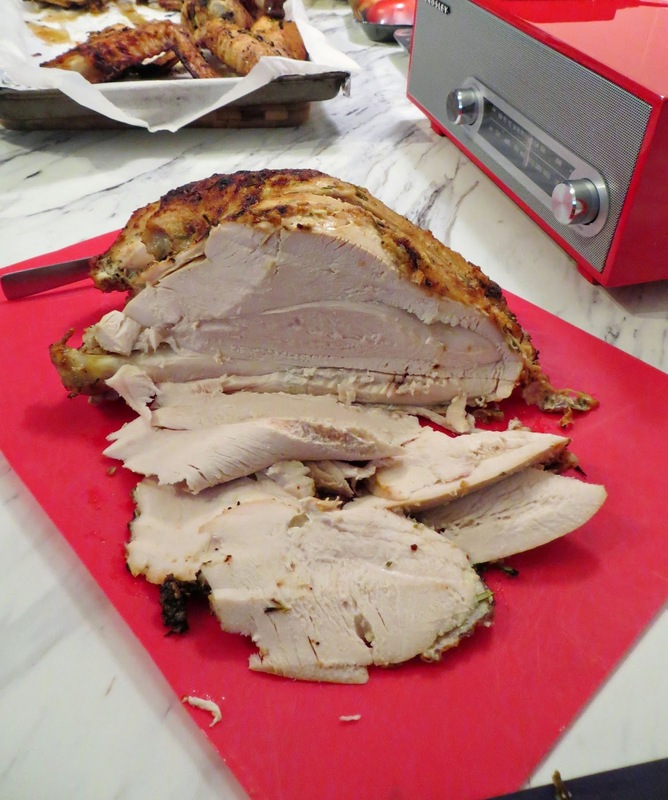 If you can get passed not having the wow-factor of having a whole roasted turkey, this method is definitely worth trying, and MUCH easier to brine too. It yields a great tasting turkey in much less time and much less effort. I don't think I will go back to roasting the turkey whole again! Aside from the turkey, I made the easiest roasted potatoes, whipped sweet potatoes with orange and garlicky asparagus. For dessert I made a pear and cranberry crisp. All of the recipes were relatively easy and I wasn't slaving away all day at the stove. This wing was so crunchy and golden! You need this wing in your life! Mix all of the ingredients well and place the turkey in a large container with a lid for 8 hours. I placed the turkey pieces in two large Tupperware containers. Before roasting, rinse the turkey pieces before seasoning. Pre-heat your oven to 325 degrees. Place the turkey pieces in a roasting pan with a rack. Line the pieces on the roasting rack and allow the turkey to come to room temperature while you make the seasoning. In a food processor, add the garlic, butter, mayo, citrus juices, and a little salt. Blend until all of the ingredients are incorporated well and the butter is nice and smooth. Transfer to a bowl and add in the chopped rosemary. Begin slathering this mixture on the turkey. Making sure to get under the skin where possible too and reserving about a third of the mixture to baste halfway through. Add some salt and freshly grated pepper to the pieces and place in the oven. The turkey took about one hour and 45 minutes for a 13 lb. turkey. About halfway through the roasting process, you'll want to take the pan out and add some more of the basting butter. Once the turkey is cooked, remove from the oven and tent aluminum foil over the pan to keep it warm. Let the turkey rest at least 30 minutes before slicing. First wash the potatoes, leaving the skin on. Since these potatoes are relatively small, you should quarter them and then cut each of the quarters in half, lengthwise to create spear-like shapes. Add the cut potatoes to a pot of cold water and add the salt. Cook until the potatoes are tender but not falling apart. drain well. Next add parchment paper to a baking sheet and place the potatoes on top. 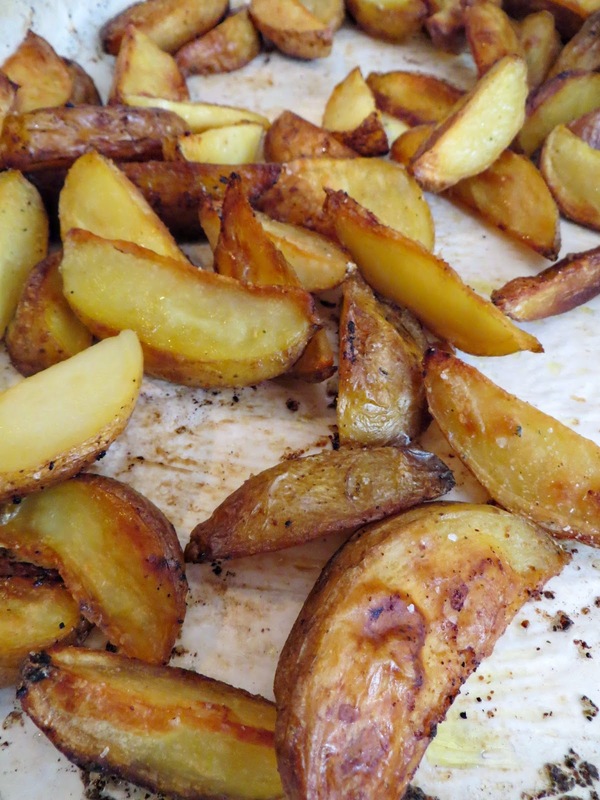 Drizzle the olive oil and season with the garlic salt, making sure to toss the potatoes lightly to coat them evenly. Roast for about 25 minutes or until the potatoes are getting golden brown. 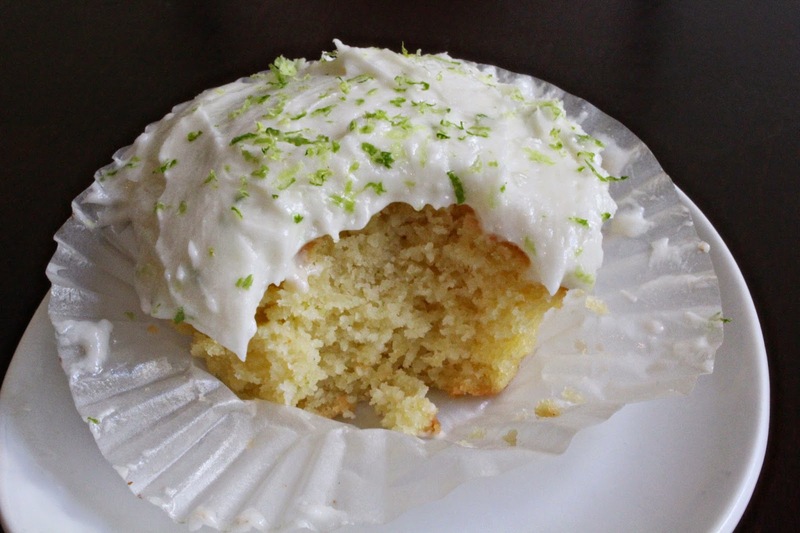 Remove from the oven and squeeze the lemon juice over them. Place them back in the oven for about another 5-10 minutes. You'll want the potatoes to be golden brown and crispy. 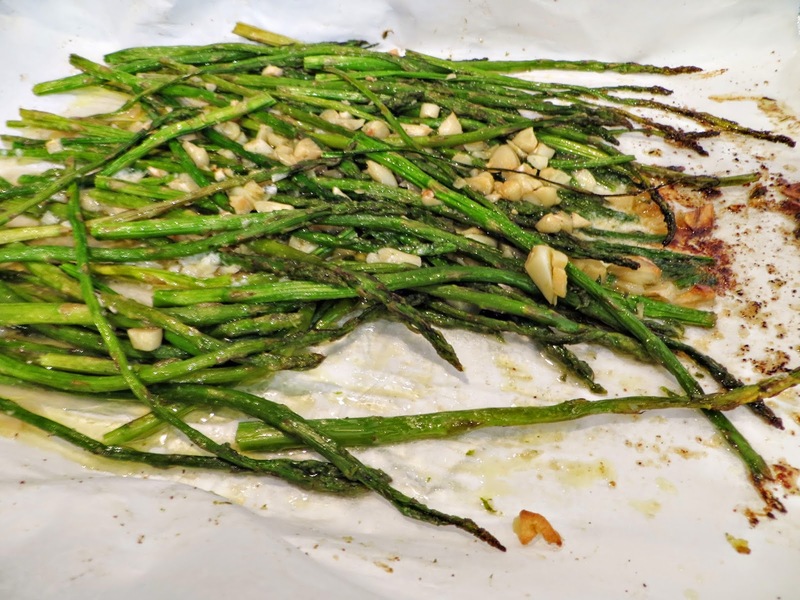 Place the trimmed asparagus on a parchment-lined cookie sheet. Drizzle the olive oil, sprinkle the garlic and season with salt and pepper. Toss to combine all of the ingredients and roast at 425 degrees for 25 minutes. 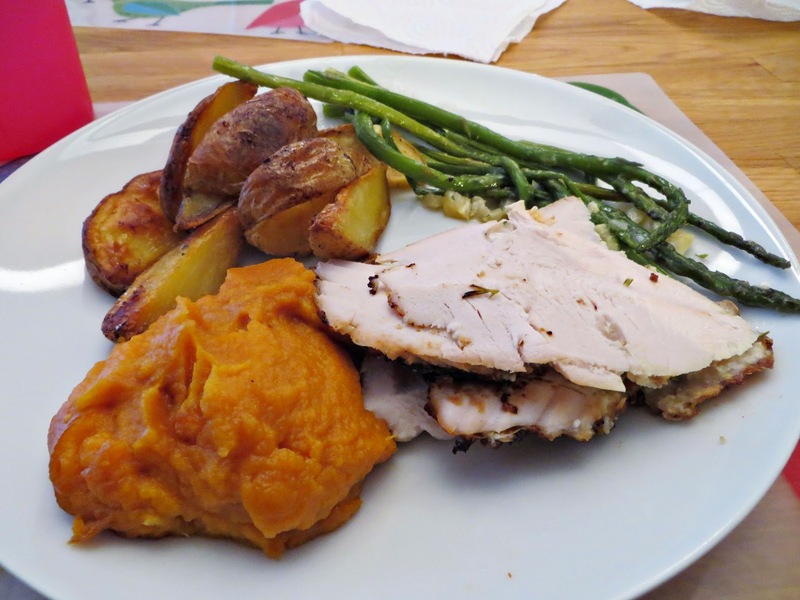 I blogged the sweet potato recipe here last year. The only adjustments I made this year is that I used coconut sugar instead of brown sugar and I squeezed the orange juice instead of using store-bought juice this year. 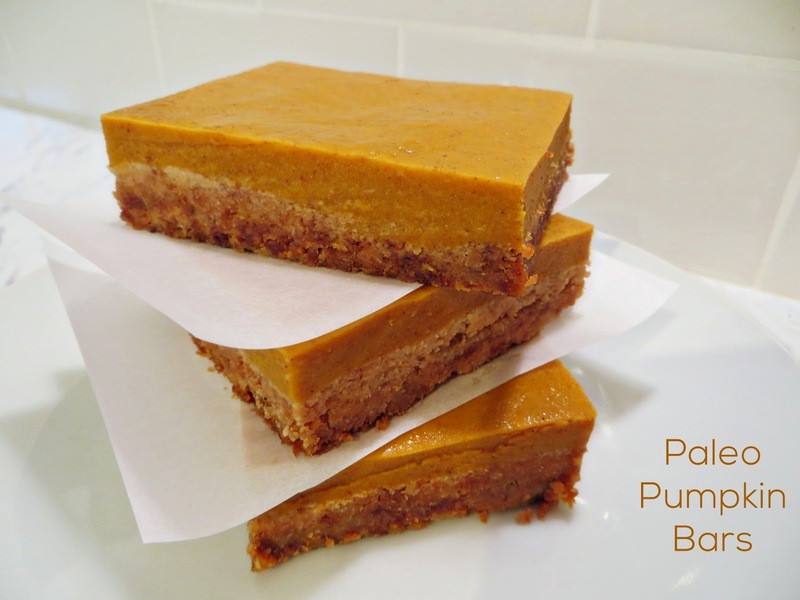 I know for many people out there, pumpkin desserts are just one of the things to be joyful about in the fall. I count myself in this group! These bars have all of the flavors you'd expect in a pumpkin pie and hold up to little fingers better than a slice of pie would. Our daughter looked like she won a pie eating contest after eating these, but it was worth it since she loved them so much. First add the cold water to a bowl and sprinkle the gelatin to allow it to "bloom" before using. Next combine the pumpkin, coconut milk, honey, eggs, coconut oil, vanilla and spices well and transfer them to large saucepan. Turn up the heat to medium and allow the ingredients to simmer. Once the mixture is hot, add in the gelatin and whisk vigorously to incorporate it into the filling. Preheat oven to 350-degrees F. Line the bottom of an 8 x 9 inch pan with parchment paper, allowing some excess come up the sides. Combine all of the crust ingredients into a bowl and mix them well. Take crust dough and press into the bottom of the pan, trying to spread it and pat it down evenly throughout. Bake the crust for about 20 minutes, or until it's lightly browned and the coconut is slightly toasted. Remove from the oven and pour the pie filling over the crust. Using a spatula, spread the filling so that it forms an even layer. Place the pan in the fridge to cool and set for at least 4 hours. Cut into squares and serve. These cupcakes are perfectly moist and delicate and the frosting is creamy with just the right amount of tartness. You wouldn't know it was grain free unless someone told you! Add the melted butter or coconut oil into a large mixing bowl. Next add the honey, coconut sugar and vanilla and mix well. Add the eggs and combine with the ingredients in the mixing bowl until the mixture is velvety and smooth. Next add your dry ingredients and blend well. Line a cupcake pan with baking cups and scoop the mixture in about 3/4's of the way. Bake for 15-18 minutes. First whip up the egg whites using a mixer until stiff peaks form and set aside. Next add the palm shortening and blend with your mixture until is is softened. Add the all of the ingredients except the egg whites and coconut oil and blend for 3 minutes. Next melt the coconut oil and drizzle it in slowly while blending with your mixer. Fold in the egg whites gently. 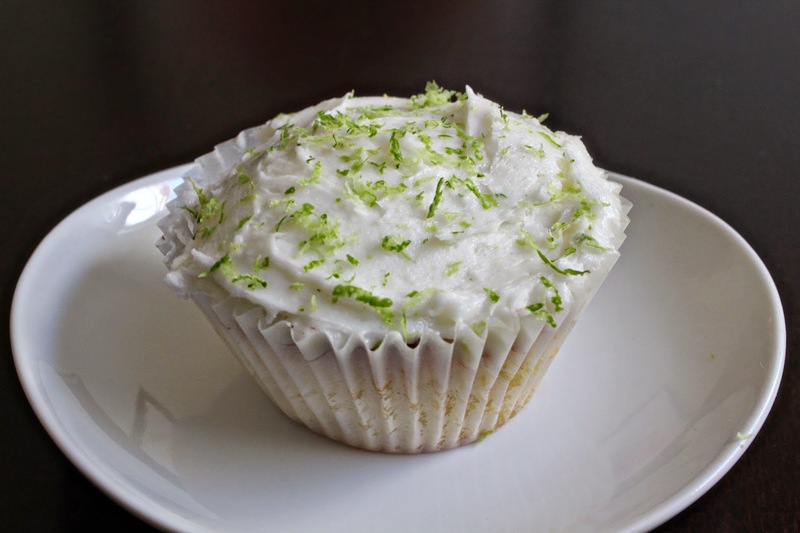 Lastly, garnish with some fresh lime zest. I thought I'd post another recipe just to keep the momentum going. I made this a really long time ago; like last December but never blogged it. Since then, I must have made this over a dozen times. It really is a repeat worthy dish that is easy enough for a weeknight meal. And if you're not a stickler for perfectly round meatballs, it will cut your time in half- I just spoon the meatball mixture onto a parchment lined cookie sheet using two spoons and attempt to make a somewhat round shape. I personally like them like this; they're all different and it adds a little rustic flair. Add the chicken to a bowl and break up with a spatula. Then add the egg, almond flour, cilantro, lime juice, mayo, salt and garlic and combine well. I know it sounds weird to add mayonnaise to this recipe but it makes the meatballs really moist, and a little goes a long way. Using the two-spoon trick I mentioned above, begin placing this mixture on a parchment lined cookie sheet and bake in the oven at 350 degrees for 30 minutes. Add the olive oil to a skillet and turn up the heat to medium high. Once the pan is hot, add the onion and cook until it becomes translucent. Add the lemon juice to the pan. Next add the spinach and cook until it is wilted; about 4 minutes. Serve hot. It's been quite a while since my last blog post, and a lot has happened since then: Had a beautiful baby, sleep deprivation set in, sold and bought a house, life got a bit hectic... So how do you go about summarizing the last two years? You don't. Let's get to cooking! What I love about this dish is how there aren't really any crazy ingredients, just humble, basic stuff, but so very delicious. I made this on the last day of summer and we really enjoyed it! First, salt the cod. Add the butter into a skillet and grate the garlic. Turn up to medium heat. Once the butter is melted, add the fish to the pan. Cook undisturbed until it browns on one side, then flip and let it get nice and golden on the other side. 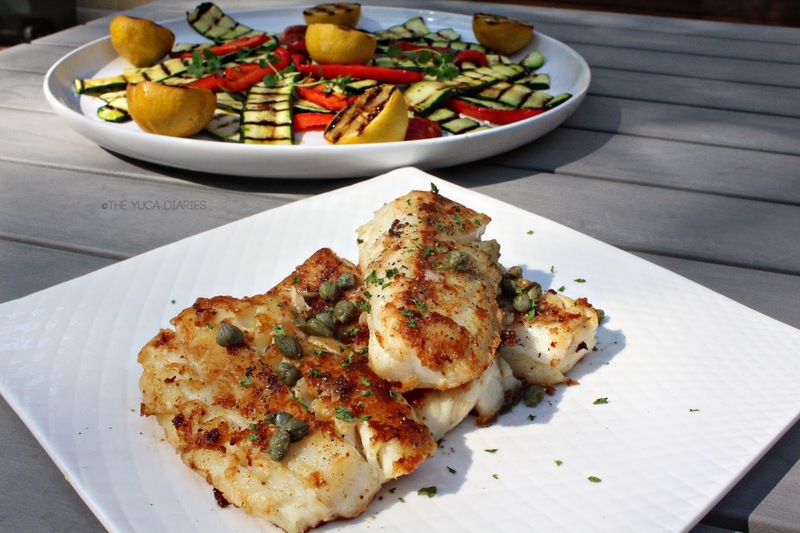 Remove from the pan and top with capers and a generous squeeze of lemon juice. 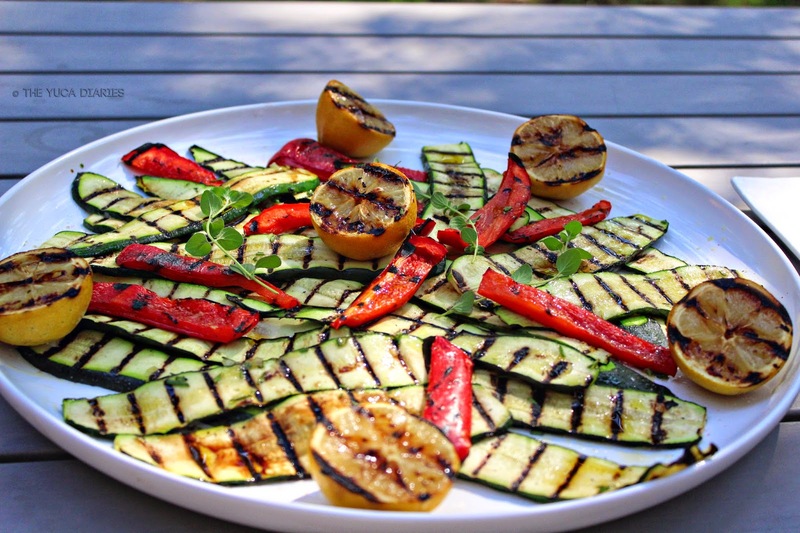 First, slice the zucchini and red bell peppers and place them on a grill pan or outdoor grill. Allow the vegetables to cook enough to get the pretty grill marks and then transfer to a platter. Cut the lemons in half and place face down on the grill and allow them to char as well. In a separate bowl, mix the olive oil, garlic and rosemary. Once the veggies are on the platter, brush some of the olive oil mixture over them. Then drizzle the balsamic vinegar over the veggies. Add salt and pepper and serve. 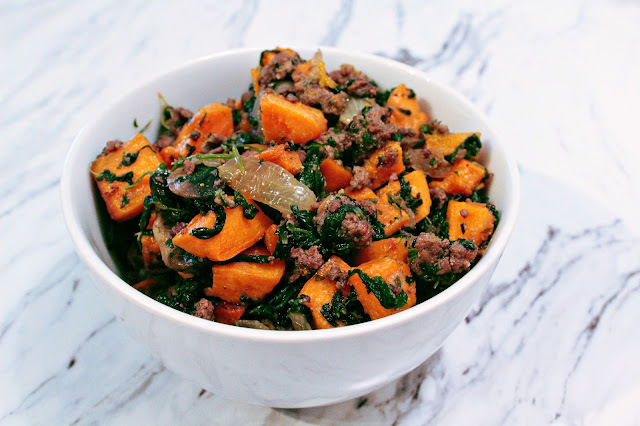 I have been thinking of what meals I've made recently that would be Paleo friendly and this was one I thought of. This dish is traditionally eaten on crepes, but since we're not eating flour I just used lettuce and made a sort of lettuce wrap. I could have also made a coconut flour crepe, but I was really hungry and didn't want to mess with it this time. First slice the chicken breast into thin long strips. Season with salt. Add 1 tbsp. of coconut oil to a non-stick pan and turn the heat up to high. Saute the chicken in batches until it is cooked through and browned. Set aside. While the chicken is cooking, slice your onion. The thing I really like about this dish is the charred flavor you get from all of the veggies. The trick to achieving this flavor is to place your wok over your burner and turn to high. Add the onions without any oil and let them cook undisturbed for a few minutes. Take a spatula and stir to saute them evenly, but do not over cook. Transfer to a holding plate. Next slice your cabbage and do the same thing with the cabbage that you did with the onions, again remembering not to overcook. The veggies in this dish should be nice and crunchy. Transfer the cabbage to your holding plate. Next add a little coconut oil to your wok and add in the sliced shitake mushrooms. Cook over high heat until the mushrooms brown. As your chicken cooks, transfer it to your holding plate. Next beat the eggs and cook them in a non-stick pan (I used the one I cooked the chicken in). Once the chicken and eggs are cooked, add all of the contents of your holding plate to the wok. 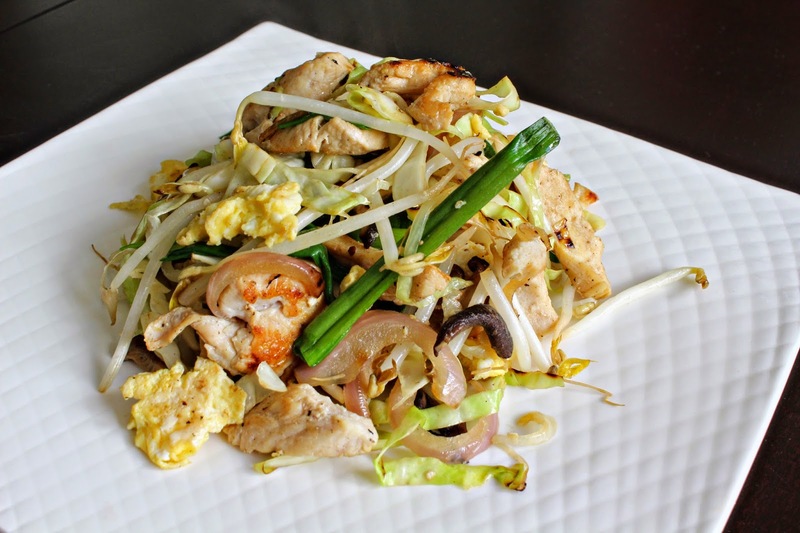 In addition to this add the eggs, bean sprouts and scallions. Toss evenly. Serve immediately. I served this with some sambal, and typically some hoisin would go well with this, but that isn't paleo so I opted out. As you may have noticed, it has been a while since my last post. Really it has a lot to do with the fact that we started changing our eating habits quite a bit lately. We recently cut out all grains, most dairy (except for cheese every now and then), refined carbohydrates and all refined sugar. Our diet consists mostly of lean meats, fresh veggies and fruits, nuts seeds and coconut and olive oil. We are doing something similar to the Paleo diet, but we're not fully paleo as every now and again we eat beans and we're not eliminating dairy 100% just scaling WAY back. All of this started because I have some serious food allergies, and a few health issues that I am trying to correct by modifying our diets. 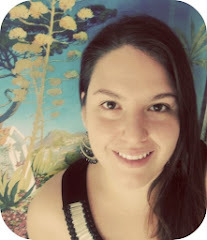 I have been finding blogging difficult because I am still trying to figure out what works and what doesn't. I've made a few really yummy dishes and this here is one of them. So far the diet is going well. Every now and again i'll get a craving for something I can't have like bread or rice, but in all honesty, the cravings have subsided tremendously. It was much harder in the beginning. We have also been working out and I know that has been helping out too. I've lost a few pounds, but I've got a long way to go. I find that he most challenging part of this diet is how expensive it is, and really if you're looking for convenience, then this might not be for you. You basically have to cook and prep everything yourself because most things on grocery shelves have added sugars, soybean oil, corn additives and lots of other stuff that if you're like me, have allergies to, you'll have to omit or make yourself using allowable ingredients. The other challenge is coming up with enough dishes in the rotation so that you don't get bored. This is where planning has been crucial. I find that if I plan ahead, then I won't be scrambling at the last minute after a long day of work trying to figure out what to make. I am still learning as I go, and if I come up with any recipes that are keepers i'll share on here. *disclaimer- I will refer to our new diet as Paleo even though we are not following it exactly. It is just easier to refer to this way... and it is awfully similar, we're just not as strict with it as others. Side note: We also don't eat pork or shellfish and the bacon I've used for years has been turkey bacon. It never really quite tasted like the real thing, but it was the best substitute I could find. That is, until I discovered beef bacon. It tastes just like the real thing and is so delicious. We are so happy to have some bacon back in our lives! Without further ado, here is the recipe for this dish: I had mine with some spaghetti squash and B. had his with some Zucchini noodles. First, cook the bacon until crisp. Transfer to a plate lined with paper towel. Reserve a little of the bacon fat and use that to saute the onions and garlic. Next add the mushrooms and sun-dried tomatoes. Stir all of the ingredients and cook until tender. Next add the chicken stock and the balsamic vinegar. Season with salt and black pepper to taste. Mix everything well and transfer to a serving bowl. Add the oil to a non-stick pan and turn the pan up to medium high heat. Make sure you pat the fish dry (this will ensure you get a nice sear on the fish). Next season the fish with salt and pepper. Place on the pan undisturbed for 2-3 minutes. Season the other side of the fish and flip over. Place a serving of the Jam on your plate. Place the fish fillet on top of it and place a little more of the jam on top. 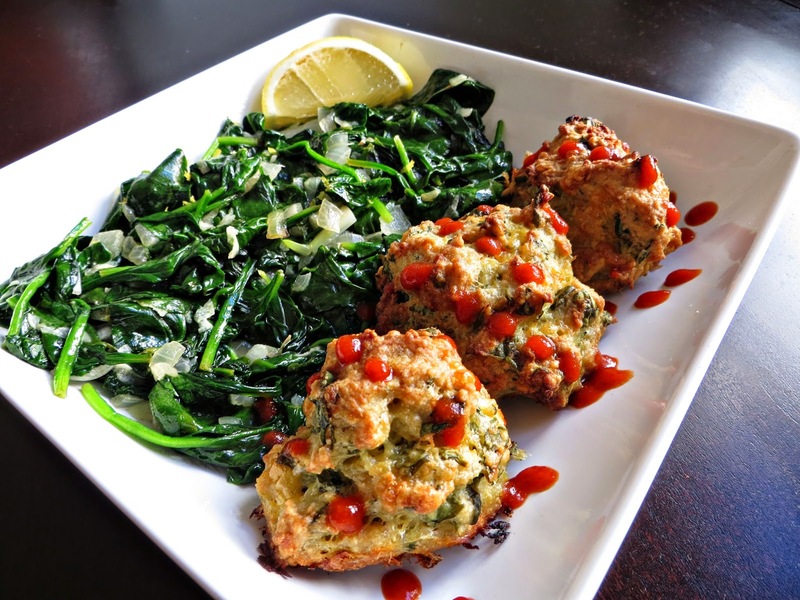 Serve with your favorite veggie. I had some spaghetti squash and it went really well with this. B. liked it with the zucchini since he doesn't care for spaghetti squash. 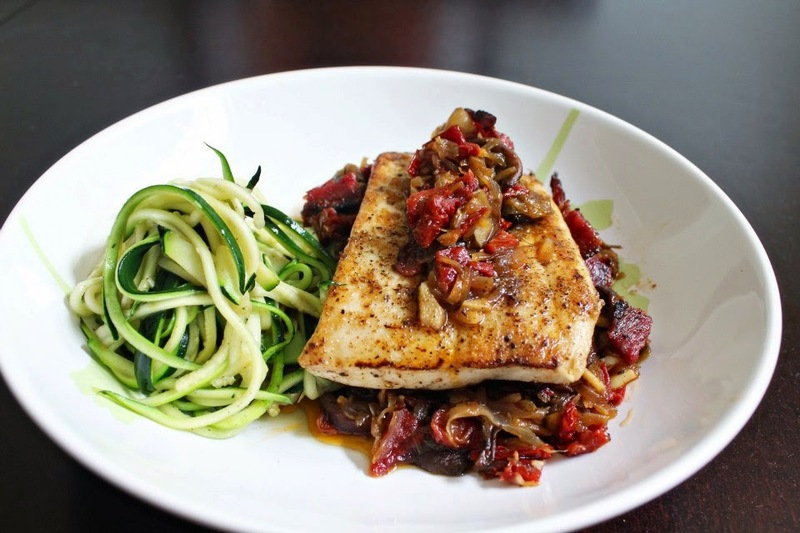 If you're not doing paleo you could serve this with rice, or pasta such as orzo or angel hair.